Can Salt Hurt a Dog’s Paws? The winter can be just as harmful to a dog’s paws as the summer. This is because the streets are often coated with rock salt (sodium chloride) in an attempt to melt ice, snow, and sleet. Can salt hurt your dog’s paws? Salt can be dangerous and corrosive to a dog’s paws, so you should limit exposure. During the winter months, when the roads and sidewalks are covered with salt, you should cover your dog’s paws with socks or booties. This article will dive deeper into the dangers of salt on the ground, and why it’s a health concern for any strolling dog. If you find that your dog starts to limp and express visible discomfort after a walk, the chances are salt on the ground is to blame. 1 Why Would a Dog’s Paws be Exposed to Salt? 1.1 What Does Salt Do to a Dog’s Paws? 2 Will Salt Hurt a Dog Internally? 2.4 Will the Cold Weather Hurt My Dog’s Paws? 2.7 My Dog Has Salt Burns on Their Paws – What Can I Do? 2.8 Are There Any Alternatives to Salt I Can Use on My Driveway? Why Would a Dog’s Paws be Exposed to Salt? In theory, it’s easy to keep your dog’s paws away from salt and prevent exposure. After all, unless you’re extremely clumsy in the kitchen and have spilled a huge amount on the floor and forgot to clean it up, there is no reason why your pooch would have anything to do with it. There is more to salt than just seasoning, however. Rock salt (a combination of sodium chloride and grit) is spread liberally over driveways, sidewalks, and roads during the winter months by homeowners and local authorities in an attempt at dissolving snow, ice and sleet and keeping pedestrians and vehicles moving. Unfortunately, salt causes many issues. As Dog Discoveries explain, salt does a great deal to your dog’s paws, and none of it is good. In fact, prolonged exposure to sodium can have a seismic impact upon your dog, both externally and internally. What Does Salt Do to a Dog’s Paws? Put bluntly, walking on salt will leave your dog’s paw pads to become irritated, dry out and eventually crack – which will leave your dog in a great deal of pain. This isn’t a problem that is limited to paws – dry and cracked noses are also common, too. Unless your dog has one heck of a unique party trick in their locker they don’t need their nose to walk. If your dog has painful, sore and cracked paws, making them whimper every time they take a step, it can severely crimp their quality of life. Not only this, but a cracked paw will also allow foreign bodies into their bodies. 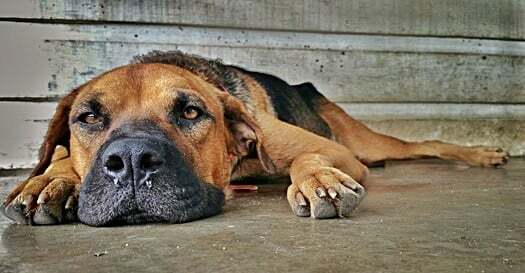 You’ve heard the saying, “rubbing salt into the wound,” and if your dog is attempting to walk on damaged paw pads they’ll be rubbing salt, dirt, dust and who knows what else into their own abrasion. It’s essential that we keep our pet’s paws away from salt for this very reason! Will Salt Hurt a Dog Internally? Yes, it’s not just the paws of your dog that you need to be mindful of where salt is concerned – it can also damage their internal organs. Unfortunately, some dogs find the taste of salt quite appealing to their palate, so they are likely to lick the substance from their paws after a walk in the winter streets. Vomiting and diarrhea is a possible response, but it won’t stop there – eating road salt can lead to a worrying condition known as road salt poisoning. This is a serious concern and should be treated as quickly as possible. There is no hard or fast rule about how much salt your dog would need to consume to get this condition. Factors such as your pet’s weight and their general health will need to be taken into consideration. In addition, consider the concentration of salt in question and how your dog ingested it. Licking it from their paws may lead to less of a reaction than burying their face in the snow and lapping up substantial amounts from the off. If you spot any of these symptoms and have reason to believe that your dog may have road salt poisoning, make an appointment with a vet. Time may be a factor here, so don’t take a ‘wait and see’ approach. 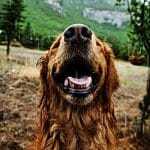 Of course, you should also do everything you can to prevent the condition from striking your dog down in the first place by following some suggestions on how to protect your pet’s paws. We have established that your dog’s paws and salt are not a happy combination. This begs the question as to what we can do to protect our canine companions from the impact of sodium, as keeping them from getting sick in the first place is always preferable to trying to treat the problem. Thankfully, there is plenty of information on this subject available – with the ASPCA, as always, leading the charge with helpful advice for keeping your dog safe in the coldest months of the year. Find out which roads have been salted, and avoid them. Try not to salt your own driveway either. Rub Vaseline or any other form of petroleum jelly on your dog’s paw pads. 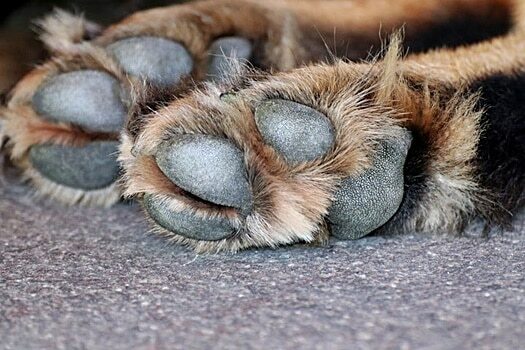 Create a homemade balm and apply it to your dog’s paw pads. Wash and dry your dog’s paws the moment they get back from a walk to remove any lingering traces of salt. Avoid shampoo though – just warm water, or wet wipes. Don’t bathe your dog too much, as this will dry out their skin and paws. Prevent your dog from licking their paws too much. Not only will they potentially be consuming salt (or worse, such as antifreeze), but they could irritate any delicate skin or paw pads. Advanced protection is always better than attempting to ‘cure’ any problem that your dog may be experiencing due to salt burn. If the damage has been done, you will need to act quickly to prevent it from growing any worse, but it’s best to take the necessary precautions before it’s too late. Melt two tablespoons of coconut oil, two tablespoons of sunflower, olive or sweet almond oil, one tablespoon of beeswax and four teaspoons of beeswax on the hob. Pour the melted and stirred concoction onto a jar and leave in a cool, dry place to harden up. Once this is done, apply the balm to your pooch’s paw throughout the winter months to offer a layer of protection from the salt that would otherwise leave them in a great deal of pain and discomfort. All of these ingredients are safe for a dog to consume, so there is no need to worry if they start to lick their paws afterward. However, remember that you need to wash your dog’s feet between baths and every time they take a walk in such conditions, so you’ll also have to reapply the balm every time. Will the Cold Weather Hurt My Dog’s Paws? According to Vet Street, no; it’s only the salt that you’ll need to concern yourself with. Even though dogs have evolved to become wholly domesticated animals over the decades, they are still evolved from wolves – and wolves thrive in cold, snowy conditions. This means that your dog’s paws have a different temperature to ours. Walking barefoot in the snow may leave a human at risk of a nasty case of frostbite, but your dog’s circulation ensures that enough blood reaches the paws to prevent their feet from freezing. That’s not to say that your dog will be entirely comfortable strutting around in the snow – as we’ll discuss elsewhere, some dogs loathe walking in the winter. However, you can rest assured that your pet will not become sick by walking during the colder times of year – though this isn’t an excuse not to be vigilant about the risk of salt exposure. The cold season can be a real winter of discontent for some dogs – it depends on your pet’s disposition. Some canines love the snow, as it’s an opportunity to run, jump, roll and play in an entirely new soft environment – we like to imagine it’s like a child getting to experience a ball pit. Others, however, will fear and loathe everything to do with the white stuff, considering it less of a winter wonderland and more a torturous layer of freezing awkwardness. Gentle Exposure. Your dog may never have been snow before and may be frightened of it. 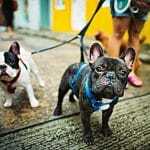 Let them out on the leash for a very short walk, or just around the backyard, for a minute or two at first before attempting substantial exercise. Make it Fun. 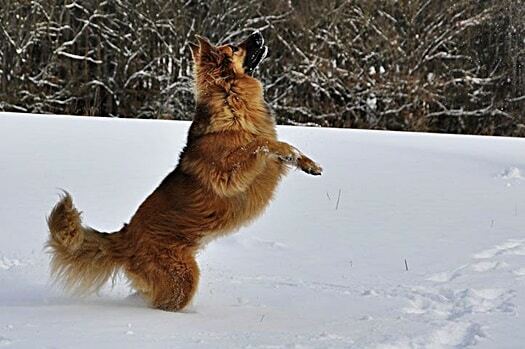 Everybody loves a snowball fight, and dogs love to play more than anybody or anything else. We’re not suggesting your hurl snowballs in Fido’s face, but encourage them to play in the snow by burying some favorite toys or pulling them on a sled. Let Them Sniff. We’ve all been warned not to eat the yellow snow in our lives, but it’s important that your dog gets to sniff out their surroundings in the snow. It will help them get an understanding of the white stuff – and more importantly, reassure them that familiar territory remains below. Make a Snow-free Potty Corner. One of the biggest challenges that the parent of a snow-averse dog will struggle with is convincing their dog to eliminate. If your dog refuses to crouch in the snow and do their business, you’ll need to shovel away a corner to ensure it contains no snow, and keep it clear at all times. Perhaps most importantly of all, however, you should utilize the many methods available to protect your pooch’s paws. Remember, the salt that on the ground of the sidewalk can do some serious damage to their poor feet. If your dog is struggling to walk after a play in the snow, give their dogs a thorough rinse and dry (which you should be doing anyway!) and inspect them. Remember, if there is snow on the ground there could also be all kinds of hazards that your hound is stepping on that you can’t see. Unlike you, Fido can’t don a pair of Wellingtons or snow boots to protect his paws. He may have stepped on some broken glass, a jagged rock, or anything else that wasn’t in clear sight when you started your walk. If your dog does appear to have cut themselves, you should clean up the wound and bandage it to reduce the risk of potential infection. Keep an eye on the impacted area, as you may need to take your pooch to the vet if the wound does not show any sign of healing by itself within a day or two. If you can’t find any signs of bleeding or a puncture wound, your dog may be suffering from salt burns. Salt and ice are an extremely volatile combination, as exposing skin to salt before ice, snow or anything else cold can make a body temperature drop by up to 20O more than it ordinarily would. This means that a dog walking through salt and then romping in the snow is essentially exposing their feet to below-freezing temperatures, and that opens up the risk of frostbite. 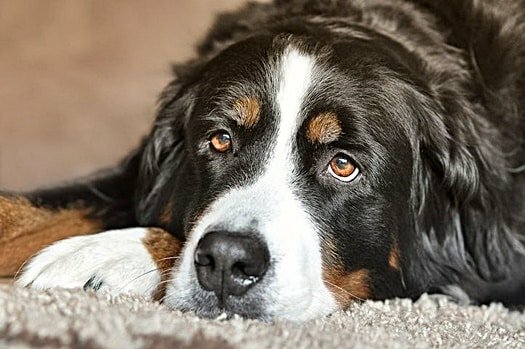 My Dog Has Salt Burns on Their Paws – What Can I Do? So, the worst has happened. You have taken your dog for a stroll, and despite being vigilant about steering Fido away from anything that looked dangerous, your dog’s paws appear to be suffering all the same. Salt burns will not be difficult to notice – your dog will probably be limping and expressing some real pain and discomfort every time they attempt to place any weight on their feet. In addition to this, you may also notice symptoms similar to those connected to sunburn from a hot pavement. These include blisters, your dog’s paw pad lifting from the bottom of their foot, and your dog constantly licking their feet. Salt burns on a dog’s paws will need treatment ASAP. The longer you leave the sodium on their appendages, the more prominent the damage will become. A vet should carry out the treatment as they will be able to tailor a treatment plan to your dog’s needs, but if the burns have not created open wounds, there is a little first aid that you can apply. Witch Hazel, which will cool down any inflammation and ease the pain for your dog. Antibiotic ointment, which will minimize the risk of infection in the wound. Olive Oil, while will replenish a little moisture to the paw pad. Please allow us to repeat ourselves, though – this is a severe problem, and something that your vet should at least take a look at to prevent permanent damage. Heading back outside again to the scene of their misfortune may be the last thing that your dog wants, but they’ll thank you in the long run when they can walk without problems. Are There Any Alternatives to Salt I Can Use on My Driveway? Alternatively, you may be able to track down a salt-free deicing product, though be vigilant about checking the rest of the product’s contents if this is a path that you decide to take. You could also throw down sand, but that’s a mucky choice and may result in a great deal of shoveling and cleaning when the snow clears. Salt on the ground is not something to be taken lightly as far as your dog is concerned. Aside from the harm that it can do your dog’s feet and the high chances of them ingesting it, your pet could end up seriously sick as a result of this grit on the ground. Do whatever it takes to protect your dog in the winter months. Many canines won’t relish the cold weather anyway, and painful paws as a result of walkies will only enhance their reluctance to get some exercise! By following the advice that we have provided, however, you should be able to convince your dog to leave the house without too much grumbling. Can Dogs Paws Get Stung by Stinging Nettles? 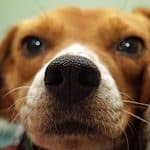 My Dog's Nose is Dry and Cracked - What Should I Do?